Vacuum heat treatment is a comprehensive technology combining vacuum technology with heat treatment, which refers to all and part of the heat treatment process in vacuum. 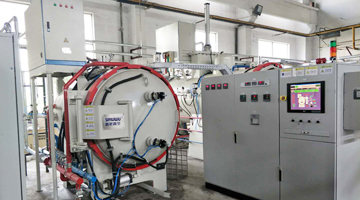 Vacuum heat treatment furnace has high thermal efficiency, can achieve rapid heating and cooling, can achieve no oxidation, no decarbonization, no carburization, can remove the surface of the workpiece phosphorus chip, and degreasing and degassing, so as to achieve a bright surface purification effect. 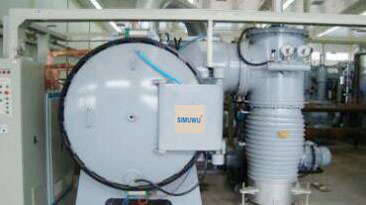 Vacuum heat treatment furnace is an advanced heat treatment equipment which has been greatly developed in recent years. Workpieces are heated and cooled in ultra-low pressure space. It has the advantages of good quality, energy saving, safety and less pollution. The shell, cover, conductive disposal of electrothermal elements and heat insulation of vacuum heat treatment furnace all work in vacuum and heating state. 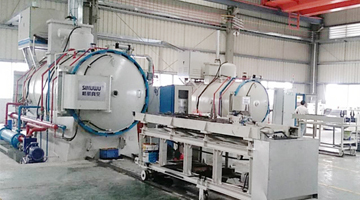 Vacuum heat treatment furnace adopts low voltage and high current. The lining materials for heating and insulation of vacuum heat treatment furnace work in vacuum and high temperature. Therefore, the requirements of high temperature resistance, low steam pressure, good radiation effect and low thermal conductivity are put forward for these materials. Vacuum heat treatment of metal parts is carried out in a closed vacuum furnace. Therefore, it is very important to obtain and maintain the original leakage rate of the furnace and ensure the working vacuum of the vacuum furnace to ensure the quality of vacuum heat treatment of parts. Vacuum heat treatment furnace has a high degree of automation, because the operation of heating and cooling of metal workpieces requires dozens or even dozens of actions to complete.